During the Great Tribulation, the unholy alliance between the beast-king who reappears from the Abyss and the Vicar of Christ will come to an abrupt end. This will take place when Antichrist (Roman Emperor Nero) vanquishes the Vatican that would dare assert supremacy over the superior authority of a “divine” ruler straight from the ancient Roman Empire who will proclaim himself as God and Messiah. Though they both will claim right to rule, the city of Rome (indeed all of Europe and the Middle East) will not be big enough for both of them. One of them has to go. “And this woman you saw in your vision represents the great city that rules over the kings of the world” (Revelation 17:18). And she rules over, “…masses of people of every nation and language” (Verse 15). However, the angel earlier told John that the beast is one of the seven kings (Roman emperors) who ruled Rome when the vision was given to John (Revelation 17:9-11). That the eighth king, who is from and one of the seven, is the actual beast who had died but would reappear (at the outset of the Tribulation) from the Abyss. Although Chapter 17, like most of the book of Revelation, is principally portraying the future Tribulation, it is also providing a brief history of the origin of the Antichrist beast … from ancient Rome. Thus, we need to understand: Although the woman is Rome, once the Roman Empire ceased to exist, it was replaced by the Roman Catholic Church—the Holy See that was and still is the driving force behind the Holy Roman Empire—which represents the woman during the times leading up to and including the Great Tribulation. Essentially then, it is the modern-day woman characterized by the Holy See who will become a rival to the Antichrist beast who once ruled supreme over the Roman Empire through that same woman … the City of Rome, but in a political and military domain. “The scarlet beast and his ten horns all hate the prostitute. They will strip her naked, eat her flesh, and burn her remains with fire” (Revelation 17:16). What an astonishingly vivid and dramatic description! It doesn’t get much more explicit than that. One of the distinguishing features of the Roman Catholic Church is the attire of its clergy and the symbolism expressed through nearly everything worn or displayed by the ecclesiastical hierarchy of the Holy See; including but not limited to the Coat of Arms. This is covered in more detail in the six-part Eye of Prophecy series entitled, The Woman and the Beast, published 10-12-13 through 11-16-13, specifically Part VI. 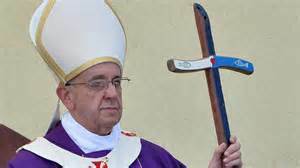 It’s beyond mere coincidence that the primary dress color of Catholic Cardinals is scarlet, of Bishops … purple, of the Roman Curia … also purple, and of the Pope … white and scarlet. Roman Catholic apparel is a symbol of eminence and a source of esteem. Although the predominately black worn by catholic priests is designed for more modesty, as a whole clerical clothing sets them apart from the laity. How exceptionally satirical it is that the beast and his coalition of ten kings/nations will, “strip her naked.” Both figuratively and literally, Nero will defrock the Holy See of its preeminence and position. However this occurs or exactly what happens, there will be far fewer (if any) catholic robes worn because there will be many less cardinals, bishops, and priests to wear them. I do not say this to be vindictive or cruel in any way, shape, or form; as the totality of the death and destruction during the Tribulation will be terribly tragic. Such is the way of evil. Such is the way of God’s justice against and final triumph over evil. The Bible bluntly tells it like it is. I believe this is a credible, if not convincing, correlation with the flawed non-Biblical Catholic sacrament of Transubstantiation; in which Catholicism contends that the very body and blood of Christ is in the Eucharistic wafer and wine elements of catholic communion. Conversely, Scripture is clear that Messiah’s body was broken and his blood shed only once, that his atoning death was a one-time all-effective sacrifice. It is totally unnecessary for his body and blood to continually transubstantiate through the sacrament of Mass. It’s more than unnecessary; it’s an affront to God. “…By rejecting the Son of God, they themselves are nailing him to the cross once again and holding him up to public shame” (Hebrews 6:6). Rejecting the Son of God first and foremost is a denial that his once for all sacrifice is sufficient to forgive our sins and save us from the penalty of those sins when we simply believe and receive Christ Jesus as our personal Savior. Our Lord made it unambiguously clear that communion for believers is to remember him and what he did for us on the Cross. It certainly isn’t intended to put him back on that Cross with the misleading (repulsive) practice of actually consuming his blood and body during the sacrament of Mass. Speaking of Christ, the writer of Hebrews tells us: “Unlike those other high priests, he does not need to offer sacrifices every day. They did this for their own sins first and then for the sins of the people. But Jesus did this once for all when he offered himself as the sacrifice for the people’s sins” (Hebrews 7:27). Although most of Scripture is literal, there are some things in the Bible that are exclusively and plainly symbolic. For example: Jesus used the imagery that he was the bread of life, and said, “…unless you eat the flesh of the Son of Man and drink his blood, you cannot have eternal life within you” (John 6:53). But it was all too evident that he used this graphic comparison solely as a metaphor. It defies all logic, both divine and human, for Christ to suggest that his body and blood could be consumed literally. Moreover, the fact that this was a spiritual comparison is distinctly developed in so many other passages of the Bible. The very means to salvation is believing and receiving Jesus Christ as our Savior, with our mind and heart … an entirely mental and spiritual action. For sure the wonderful expression of God’s grace to the human race was a gift given through the bodily death, burial, and resurrection of Messiah Jesus. But we certainly don’t apprehend that grace by or through the Catholic Mass or by any other means other than simple trust in so great a sacrifice, so great a salvation purchased by the death of Christ on the cross and sealed by his resurrection. Thus, the striking language that the beast and his coalition will eat the flesh of the woman explicitly exposes and metaphorically matches (with a literal connotation) the absurd, but also devious doctrine of Transubstantiation promoted by the Roman Catholic Church. Here we see another emblematic but also historically literal connection to both ancient Rome and the subsequent (partial) duplication of the Roman Empire by the Holy See. There were three primary forms of execution in the ancient Roman Empire … beheading, crucifixion, and by fire. Historians say more Christians were burned at the stake than murdered on crosses or by the sword. A common form of death was to strip Christians naked, put a tunic on them covered with wax or pitch, and light a torch to them. One of the more monstrous things that Nero, himself, ordered was to hang hundreds of Christians on poles, smear them with tar, and ignite them so they would illuminate his royal gardens for all to see. As the Christians agonizingly burned to death, Nero mocked them by sarcastically quoting Jesus, “(Now) you are the light of the world.” Even Romans were appalled at this sadistic barbarity. *Note: More of these atrocities can be expected upon Nero’s return as the Antichrist, to both unbelievers and tribulation believers. The Roman Emperor Constantine, who declared Christianity as the state religion of the Roman Empire and who was the forerunner of the Catholic hierarchy, ironically declared that killing dissidents by fire was to be a form of capital punishment for certain offenses. This set the precedent for the Roman Catholic Church to employ burning at the stake as the principle method of execution for those they deemed heretics. Joan of Arc was only one of thousands burned at the stake. Thus, Nero will begin by stripping the Holy See naked … removing her leaders from their positions of power and influence. 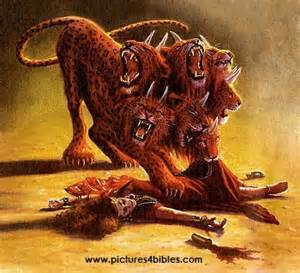 Then he will eat her flesh, by devouring the infrastructure which will include execution of Roman Catholic clerics. Finally, he will burn her remains with fire … literally by burning down the Vatican and many Catholic edifices the world over. All with the final goal of eliminating competition from what he will consider an imposter imitation of the Roman Empire. When that happens, people will kiss the signet ring of Nero Caesar, not of the Pope. And, shouts of Hail Caesar will trump cries of Hail Mary. That is not to say Nero will be successful in actually reviving or reestablishing another Roman Empire. He will try, but will fall short of this diabolical goal. There will not be a One-World Government; nor a World Religion. Several other nations, most particularly the Oriental countries, will oppose him until the very end. At which time Satan, Nero, and the False Prophet will entice even their enemies to join them in a totally vain and senseless effort to fight against Messiah Jesus, the King of all kings. They will, “…gather them for battle against the Lord on that great judgment day of God the Almighty” (Revelation 16:14). I trust that this has helped you see the providential parallel between what the Catholic Church has done and what will be done to her by the Antichrist. But also TO Antichrist and to the great city from which both have ruled and will rule for a time during the Tribulation. It will be a punishment that fits the crime, but multiplied by two. How do we know that? “For her sins are piled as high as heaven, and God remembers her evil deeds. Do to her as she has done to others. Double her penalty for all her evil deeds. She brewed a cup of terror for others, so brew twice as much for her … She boasted in her heart, ‘I am queen on my throne…’ She will be completely consumed by fire, for the Lord God who judges her is mighty” (Revelation 18:5-8). In the interim, the Pope and the Vatican continue to dominate world headlines like never before. Therefore, let’s continue last week’s article with more examples of Pope Francis’ recent activities which demonstrate that the Papacy is reasserting itself in global affairs. The Vatican will be ready and willing to step into the apocalyptic vacuum created by the soon to come Rapture of hundreds of millions all over the earth. This was the headline in USA Today’s article of September 2, 2015. With a commentary that the, “pontiff is saying that there is no sin that can’t be forgiven.” What the Pope had just done was to extend the authority of priests to directly forgive the sin of abortion, without first getting permission from a bishop. Most other sins could be forgiven by a parish priest. At least Pope Francis was right about that part … there is no sin that can’t be forgiven. Except that is, ignoring or denying the power of the Holy Spirit when he convicts a person over the sin of unbelief in Jesus Christ as the only one who can pardon all of our sins. I did not reference this media headline on the Pope to discuss abortion, though it is tragically wrong to terminate a baby’s life while still in the womb. No different than murdering a child after birth. Rather, the emphasis is on the Catholic priesthood itself. The very existence of a priestly system was done away with when the Lord gave us his New Covenant. Symbolized by the cup of wine (which is not the actual blood of Christ), Jesus said: “…This cup is the new covenant between God and his people—an agreement confirmed with my blood, which is poured out as a sacrifice for you” (Luke 22:20). That is a precise, powerful, and poignant description of the true Church. It is one believer after another (living stones) that individually make up the true temple of the Lord. Not a centralized religious seat of government or an ecclesiastical hierarchy contained in and represented by the Vatican or any other religious organization. The real church is the Holy Spirit indwelling the temple of each believer’s heart; thereby, making every believer a priest. Each and every believer can personally come directly to God for salvation; and to then confess sins that interrupt our fellowship with God as we live out our Christian lives awaiting eternal life in heaven. Writing to individual believers—not to priests ordained by the Catholic Church, because there was no Roman Catholic Church at the time—the Apostle John states: “But if we confess our sins to him, he is faithful and just to forgive us our sins and to cleanse us from all wickedness” (I John 1:9). The Church has only one Mediator between God and man. The Apostle Paul emphatically confirms this by saying, “For there is only one God and one Mediator who can reconcile God and humanity—the man Christ Jesus” (I Timothy 2:5). “So, then, since we have a great High Priest who has entered heaven, Jesus the Son of God, let us hold firmly to what we believe. This High Priest of ours understands our weaknesses, for he faced all the same testings we do, yet he did not sin. So let us come boldly to the throne of our gracious God. There we will receive his mercy, and we will find grace to help us when we need it most” (Hebrews 4:14-16, italics for emphasis). Can this passage be any plainer? Not only can each believer in Christ go directly to God for confession (to receive mercy and forgiveness), but it is actually an insult to God for a religious system to take away this privilege by requiring intermediary priestly intervention, or bishop, or cardinal, or pope, or Mary. The New Covenant is just that: NEW! To continue under the Old Covenant is to deny the efficacy of so great a salvation purchased by the once and for all sacrifice of our High Priest, of our Great God and Savior, Jesus Christ. “This means that anyone who belongs to Christ has become a new person. The old life is gone; a new life has begun! And all of this is a gift from God, who brought us back to himself through Christ…” (II Corinthians 5:17-18). Among so many other wonderful changes, our new (right) standing with the Lord allows us to enter directly into his presence which includes confession of sin. I’m sorry, but the truth must be told … the eternal truth of God’s love and holiness, of God’s Word and of his ONLY plan of salvation for the human race, including every Roman Catholic. The entire religious system of the Roman Catholic Church is misleading, deceitful, and in direct conflict with the Gospel of Jesus Christ. It is diametrically opposed to God’s way of salvation to every man, woman, and child … with the corresponding assurance of eternal life given to anyone who simply believes and receives Messiah Jesus as Lord and Savior. That’s it. That’s all there is to it. No baptismal membership into a church. No keeping of sacraments to merit or earn God’s grace. No measuring of good works hoping they outweigh the bad to gain access to heaven. No cursory confession to a priest or perfunctory pleading to Mary for grace. All of that is anathema to God. All good works are a result of Biblical salvation, not a means to earn salvation. “God saved you by his grace when you believed. And you can’t take credit for this; it is a gift from God. Salvation is not a reward for the good things we have done, so none of us can boast about it. For we are God’s masterpiece. 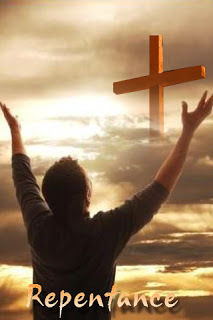 He has created us anew in Christ Jesus, so we can do the good things he planned for us long ago” (Ephesians 2:8-10). There have been other recent events triggered by the Pope, but explaining them in any detail would make this article too long. Thus, before concluding with explanation of a planned activity of Pope Francis that will take place later this month, I’ll just list some of the recent media headlines to demonstrate the Pope’s frequent involvement in world affairs, specifically. And, the Vatican’s increasing influence both religiously and politically on governments and heads of state, in general. Pope’s Annulment Changes Could Have Big Impact in U.S.
Pope Francis has been invited to give the first-ever papal address to the United States Congress. It is understandably unprecedented because ostensibly the Pope is the ecclesiastical head of the largest religious entity in the world. Which begs the question: Since when does a religious leader address Congress? *Note: There are more Muslims in the world; however, Islam does not have a centralized or organized seat of authority as does the Vatican. In fact, the Vatican is recognized as a State within a state (Italy). Which is pretty much how the Holy See has functioned since its inception … it sends and receives emissaries much like any national government would do. Also, nearly one-third of the Senate and House of Representatives are Catholic. In that respect, the Pope (as have many popes in the past) is acting in a similar capacity that a head of State would assume. To me, the Pope’s address to the most powerful legislative body on earth is another remarkable sign that we are living in the end times. Francis is the 266th Pope of the Roman Catholic Church. He will arrive in the United States on September 23rd, the 266th day of the year, and speak to Congress the following day. No time/space in today’s article to elaborate, but September 23rd is cited as a pivotal date in Isaac Newton’s eschatological calculations. It is also a date that keeps surfacing in movies, concerts, and statements of politicians. This year Yom Kippur, the Day of Atonement, also falls on September 23rd. But there are other days this month that could bear significance. Such as: September 14th as the beginning of a Jubilee Year. And September 28th as the fourth and final blood moon tetrad. When Israel was reborn as a nation (1948) and later when Jerusalem was once again the sovereign capital of Israel (1967), the interest in and enthusiasm for Biblical last days prophecy exploded with kaleidoscope intensity. But one prominent thing was missing. For decades before and a few years after these milestone events that have included two world wars in the 20th century, the Roman Catholic Church’s global position, prestige, and power had declined. No longer is that the case. Once again, the Vatican and very popular popes (not the least of which is Pope Francis) have risen to prominence. To the extent that the most powerful nation of the 20th & 21st centuries believes that the Pope can and will contribute to such things as universal, “compassion, principles, and values.” Which will be the theme of his message according to a quote from Enrique Pumar, Chairman of the sociology department at the Catholic University of America. According to Mr. Pumar when speaking of Pope Francis, “People really like him, even if they’re not Catholic. They like his charisma, his humility.” Apparently, one of the subjects Pope Francis will talk about is immigration. But according to John Carr of Georgetown University, the Pope will not make a legislative proposal on immigration, rather he will emphasize the need to treat immigrants with dignity. Nothing wrong with that you might say. And I agree. But it’s not what Pope Francis will say or will not say that will be historical in nature. It’s the very fact that he will be speaking to the US Congress in the official status of a World leader. “Babylon is fallen—that great city is fallen! She has become a home for demons … The kings of the world have committed adultery with her” (Revelation 18:2-3). “How terrible, how terrible for that great city! … In a single moment all the wealth of the city is gone!” (Revelation 18:16-17). “Then I heard another voice calling from heaven, ‘Come away from her, my people. Do not take part in her sins, or you will be punished with her’” (Revelation 18:4). In one of the recent articles on Pope Francis, he was referred to as Holy Father. As used in Scripture, the word holy means two things: (1) applied to Old Testament Jews and Israel and also New Testament believers (Jew and Gentile alike), its primary meaning is that of being set apart for a special purpose. (2) When applied to God, indeed the Trinity, Holy means pure—encompassing all the attributes of a Holy God. Yet, Pope Francis and previous popes have been given the faulty designation and false distinction of being called Holy Father, with the clear connotation that some measure of divinity is afforded to the Pope. This is further emphasized by considering the Pope to be the infallible Vicar (representative) of Christ on earth. Both appellations, Holy and Father (upper case) are completely inappropriate for anyone except the Trinity. Listen to what Jesus said about and to the Jewish religious leaders: “Don’t let anyone call you ‘Rabbi,’ for you have only one teacher, and all of you are equal as brothers and sisters. And don’t address anyone here on earth as ‘Father,’ for only God in heaven is your spiritual Father” (Matthew 23:8-9). I’m sure Christ was also thinking ahead to what would happen when the Catholic Church rose to power. Even priests are called, Father. But worse, the Pope is considered to be the Holy Father. If he were addressed as holy father (lower case) at least the comparison to God and divinity would be eliminated. In fact, I didn’t realize it until I typed holy father, that spell check requires that both words be capitalized! That’s the kind of influence wielded by the Holy See! The Bible is overwhelmingly and adamantly clear that only God should be called Father. But Jesus also said that he and the Father were one and that no one could come to the Father except through him (John 14:6). “…All glory to him who loves us and has freed us from our sins by shedding his blood for us. 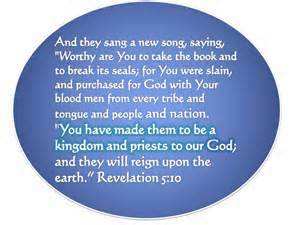 He has made us a Kingdom of priests for God his Father. All glory and power to him forever and ever! Amen” (Revelation 1:5-6).